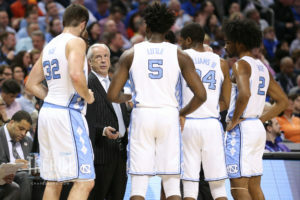 As the Tar Heels prepare for their run in the NCAA tournament, today’s edition of “Inside Carolina” discusses the advantage conferred by having experienced players that can provide leadership to the rest of the team while making big plays themselves. But will an established and cohesive team be enough to take UNC all the way to the top? NextChansky’s Notebook: Monday Night Showdown?